Delaware Technical Community College is undergoing a campus transformation to expand their facilities. We led their courtyard renovation project located at a major hub on their Stanton Campus. 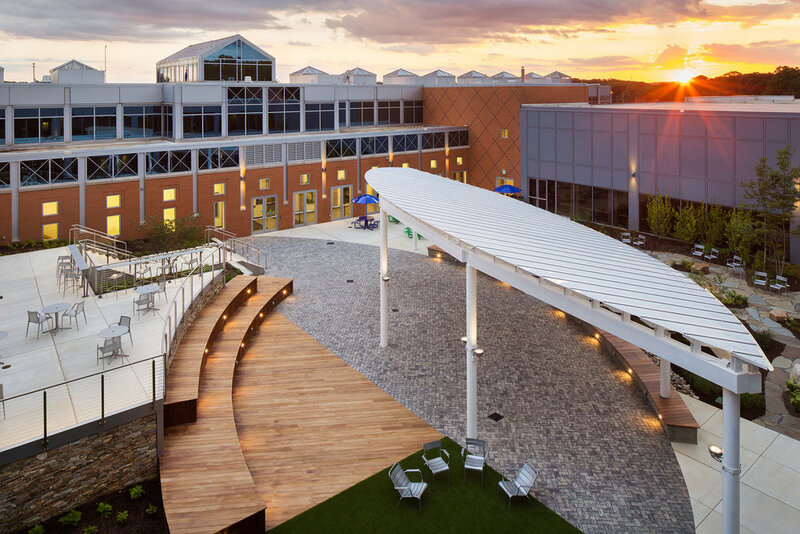 The improvements included a large canopy structure, terraced wood benches, a raised wood deck that doubles as a performance space, a dining terrace, a bluestone patio with movable seating, a rain garden with footbridge, and lush plantings. We were invited to respond to LASN magazine's Call for School and Campus projects. To read the complete article in their June issue click here.